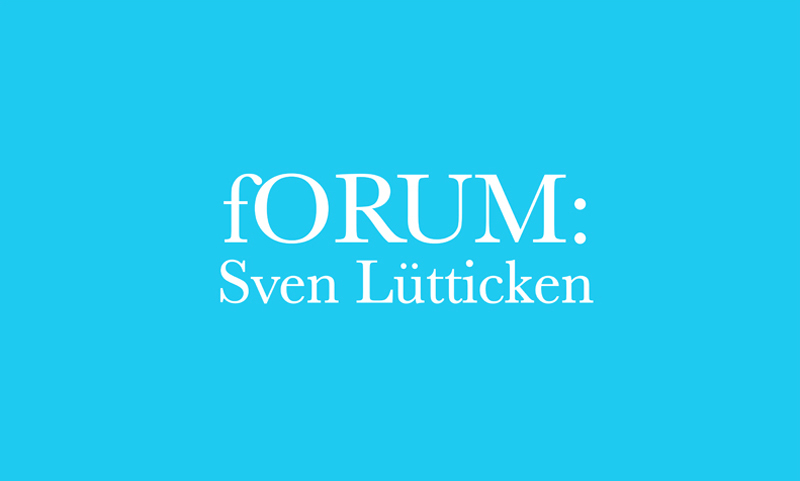 Mercer Union is delighted to partner with The Power Plant’s International Lecture Series and Images Festival to present a lecture by Sven Lütticken on Thursday 31 March at 7PM at the Studio Theatre in Harbourfront Centre. Taking in a range of practices from artistic and other contexts, Lütticken will analyze modern and contemporary forms of motion study, motion tracking and motion capture. Taylorism, the theory of scientific management, and the Gilbreth’s motion studies will be discussed in relation to contemporary motion-tracking and efficiency operations in museums and other public spaces through techniques such as capturing a performers’ movements through digital animation. In particular, Lütticken will explore the ways in which motion has been made efficient and mined for value and what fundamental shifts have occurred in motion-mining as we transition to a post-Fordist labour system. What are the roles of visualization strategies in propelling new forms of motion management and appropriation? From the 1920s to the present, artists have both participated in and problematized these forms of corporal and temporal discipline and control. In his lecture entitled Motion, Captured, Lütticken will draw upon a number of these artistic practices, from the Constructivists to Harun Farocki and Hito Steyerl, not to mention Picasso and Drake, as analytical pointers for discussion. Sven Lütticken teaches art history at the Vrije Universiteit Amsterdam, where he coordinates the research master’s programme in Visual Arts, Media and Architecture: Critical Studies in Art and Culture. He is the author of the books Secret Publicity: Essays on Contemporary Art (2006), Idols of the Market: Modern Iconoclasm and the Fundamentalist Spectacle (2009) and History in Motion: Time in the Age of the Moving Image (2013). Space is limited. Purchase tickets online or via Harbourfront Centre Box Office at 416.973.4000. The Power Plant Members FREE / $15 Non-Members. Free with tickets to the lecture. Call 416.973.4949 for advance registration. Space is limited. Workshop participants are required to have purchased or reserved tickets to the International Lecture Series.